Quality - Autolum Processing Co.
Delivering Superior Class A Aluminum Processing On Every Inch Of Every Order. 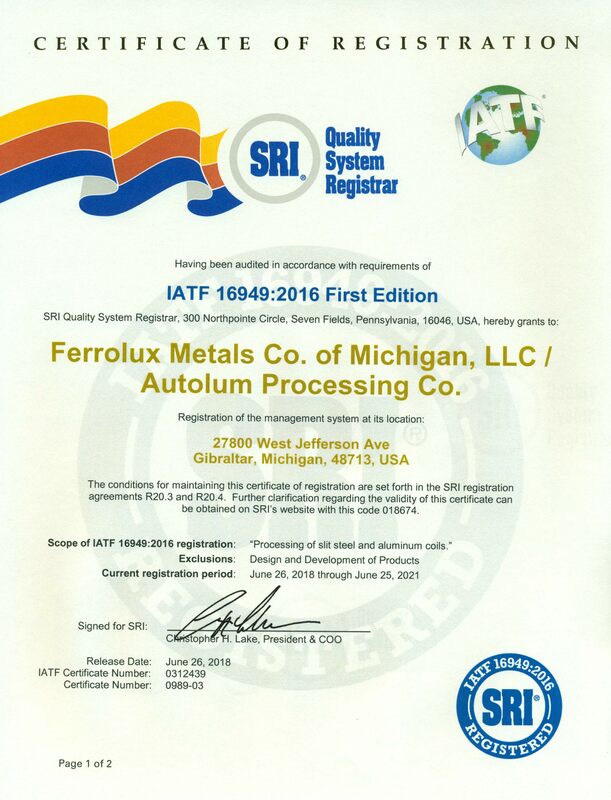 In the automotive business, where the high standards of IATF 16949:2016 are a given, Autolum stands out above the crowd. Our commitment to zero defects and 100% on-time delivery will put us among your elite group of preferred suppliers for aluminum slitting and inspection. Autolum is dedicated to making quality assurance investments that provide aluminum processing with unmatched uniformity. Great care is taken to ensure that every aspect of our process consistently meets the toughest quality standards.